BASKETBALL SPOTLIGHT NEWS: Spotlight Alum Karl Anthony Towns Wins NBA Rookie Of The Year! Spotlight Alum Karl Anthony Towns Wins NBA Rookie Of The Year! Basketball Spotlight Alum Karl Anthony Towns was a unanimous choice for NBA Rookie of the Year. 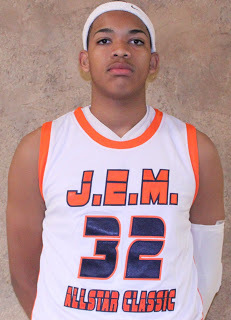 Towns competed in Basketball Spotlight with Team NJABC and finished his middle school career by dominating the J.E.M. All Star Classic. Towns went on to have a stellar high school career at St. Joseph’s Metuchen before heading off for one year at the University of Kentucky. Last summer Towns was drafted by the Minnesota Timberwolves with the 1st overall pick. It didn't take Towns very long to make an impact. He had 28 points and 14 rebounds in the second game of the season, a victory over Denver, and though many rookies hit a wall in the middle of the long, grueling NBA regular season, Towns got better as the season went on. He averaged 21.3 points on 55 percent shooting and 11.7 rebounds in the final 31 games of the season. Basketball Spotlight would like to congratulate Towns on his success and wish him more in the future.